Cot linen has come such a long, long way since my first foray kitting out a cot back in the 90s when a solid coloured sheet was considered avant-garde in a sea of yellow and green bunny prints. Times have changed and there’s stylish bedding now at every turn, like this monochromatic palette of coordinates from Australian brand Cream Empire. Contemporary cots are only a click away with the gorgeous fitted sheets and cushions at Cream Empire. Currently Cream Empire’s virtual showroom is filled with modern prints in black, white and grey (and the occasional coloured pop!) 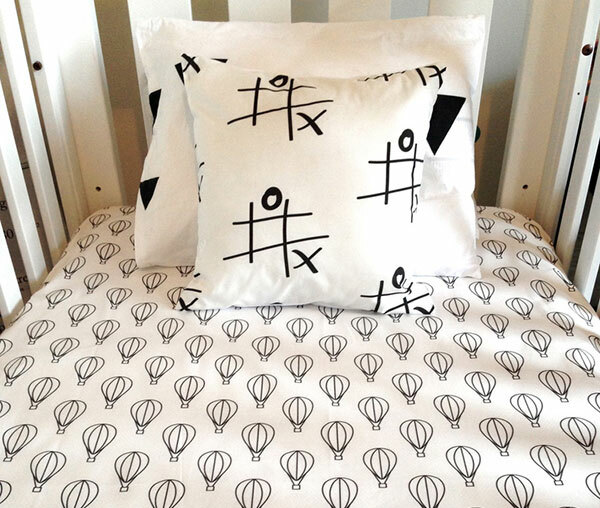 all ready to be sewn up as custom quilt covers ($95), fitted cot sheets ($55) or even bassinet sheet (upon request). 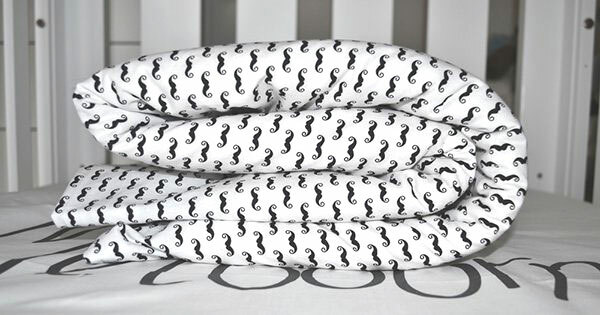 As for my personal favourite print, I’m calling a tie between the XO Love print and the Moustache print – luckily they look pretty awesome together! Once you’ve chosen your bedding, definitely stop by the cushion aisle, there’s some gems to be found here. 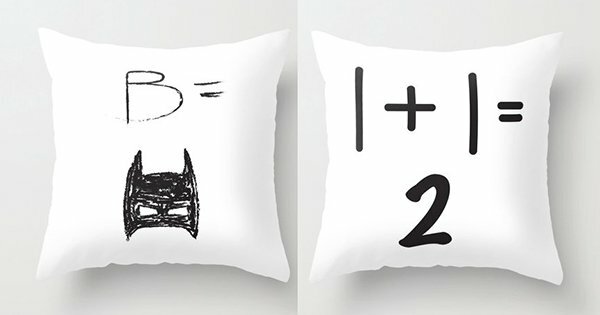 It was love at first sight when I spotted the B = Batman cushion ($35) in the Cream Empire Alphabet Series Cushions range. Each piece in the Cream Empire collection is handmade right here in Australia by Melbourne mum, Carolina and is available direct from Cream Empire.